Story7 amazing benefits of papaya for your skin! Papaya is most beneficial for the skin when used in the form of face packs. Here are 7 amazing benefits of papaya for your skin that you must read about! Papaya has an antifungal compound! The potassium content is very high in papayas. Papayas contain 781 milligrams of potassium. On the other hand, a medium papaya weighs about three times as much as a banana. So the high content of potassium keeps your skin hydrated and removes dullness and dryness. The content of vitamins A and C is also high in papayas. One large papaya is packed with 235 milligrams of vitamin C. Papayas are also an excellent source of vitamin A that prevent your skin from free radical damage, keeping wrinkles and other signs of ageing at bay. The flavonoids present in papayas help increase the collagen production in the skin, which makes your skin soft, firm, and supple. BHA (or beta hydroxy acid) are the nutrients present in ripe papayas which act as a mild exfoliator. Exfoliator present in ripe papaya gently removes the top layer of dead skin cells from your face and makes your skin radiant and younger looking. Other than it mild exfoliator also clears the dirt and oil that can lead to acne and breakouts on the face. Papaya contains one special enzyme called papain that removes dead cells and other impurities present in the skin. Papain works great in unclogging the pores and removes excess sebum from the skin that may be making it oily and prone to acne. In short, the enzyme papain exfoliates dead skin cells to cure skin impurities. You must have heard about the healing enzymes of papaya. 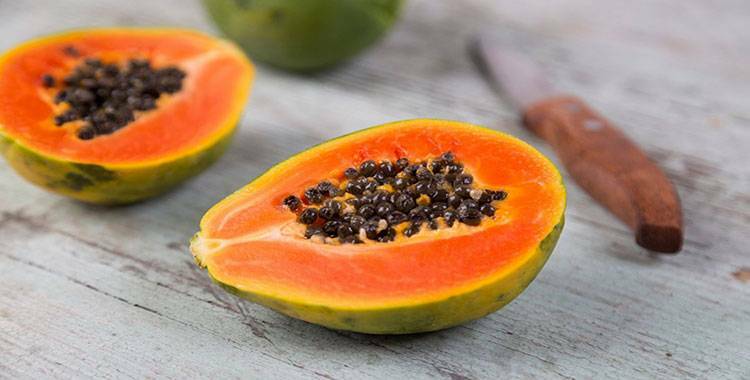 The healing enzymes present in papayas treat your sunburns, soothes irritated skin, and gives you a glowing effect. Enzymes in the papaya contain lightening properties that help clear blemishes and pigmentation. The papaya is also used to even your skin tone by reducing dark spots and even the acne. 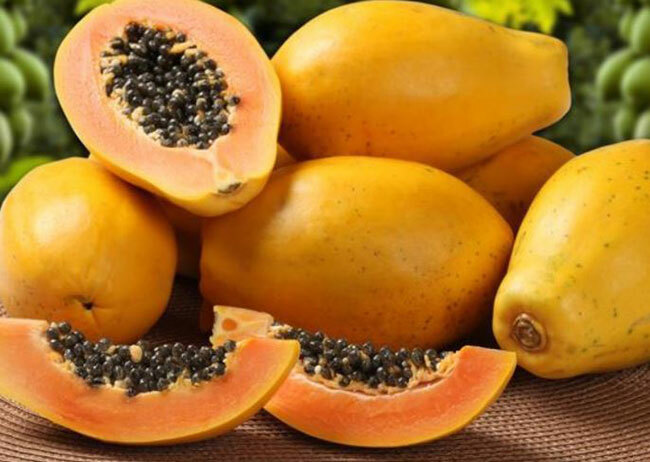 Papaya has an antifungal compound, which helps you in treating tropical fungal infections. Even our ancestors used the papaya to heal scars, burns, and skin diseases.